Abstract: Crimean–Congo hemorrhagic fever (CCHF) is a tick-borne zoonotic viral disease with a disease fatality rate between 15% and 70%. Despite the wide range of distribution, the virus (CCHFV) is basically endemic in Africa, Asia, eastern Europe, and the Middle East. Acute febrile illness associated with petechiae, disseminated intravascular coagulation, and multiple-organ failure are the main symptoms of the disease. With all these fatal effects, CCHFV is considered a huge threat as no successful therapeutic approach is currently available for the treatment of this disease. In the present study, we have used the immunoinformatics approach to design a potential epitope-based vaccine against the RNA-dependent RNA polymerase-L of CCHFV. Both the T-cell and B-cell epitopes were assessed, and the epitope “DCSSTPPDR” was found to be the most potential one, with 100% conservancy among all the strains of CCHFV. 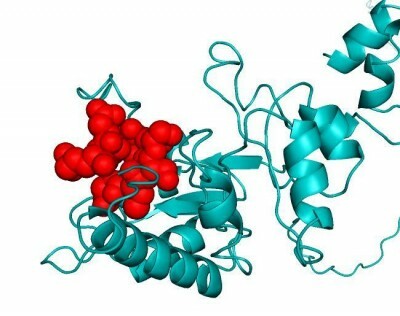 The epitope was also found to interact with both type I and II major histocompatibility complex molecules and is considered nonallergenic as well. In vivo study of our proposed peptide is advised for novel universal vaccine production, which might be an effective path to prevent CCHF disease.